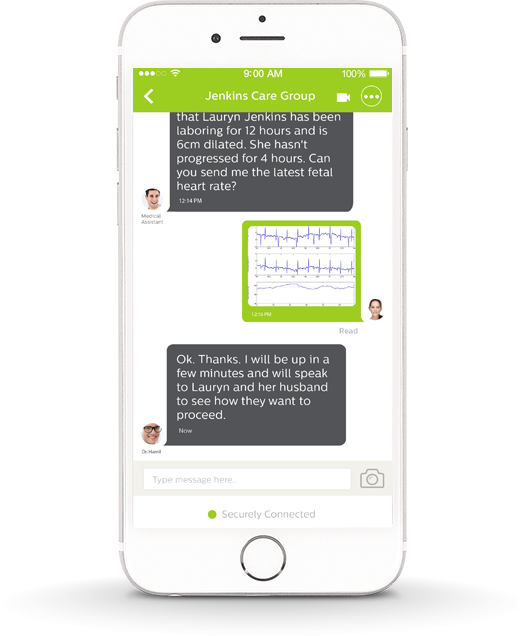 Disrupting Healthcare Communication Making it Easy, Fast and Revenue Generating. IM Your Doc has changed that. 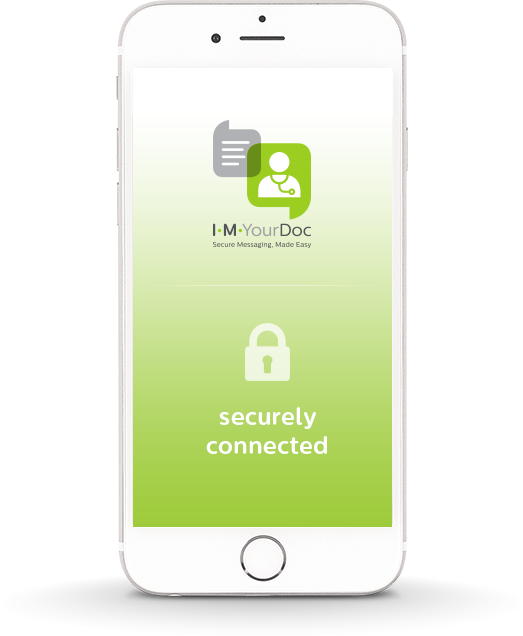 With IM Your Doc you get the speed and convenience of texting, wrapped in the security required by HIPAA. 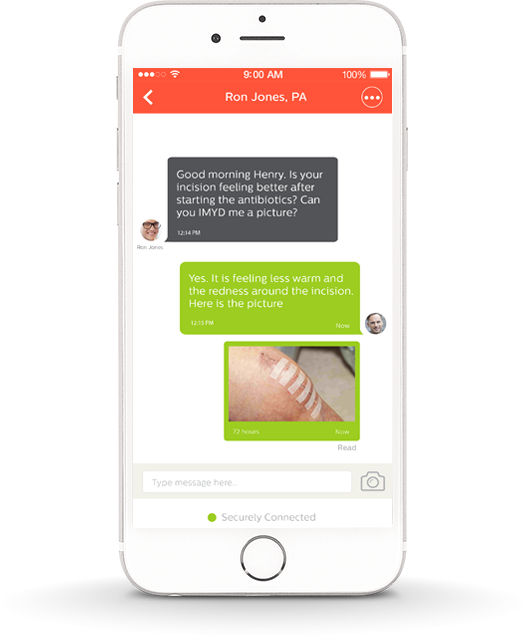 Our mobile text, voice and telemed communication platform simplifies communication within your practice, with colleagues outside your practice and with patients. Try IMYD on Your Device! How Will IM Your Doc Help Your Organization? Feature Rich. Easy to Use. 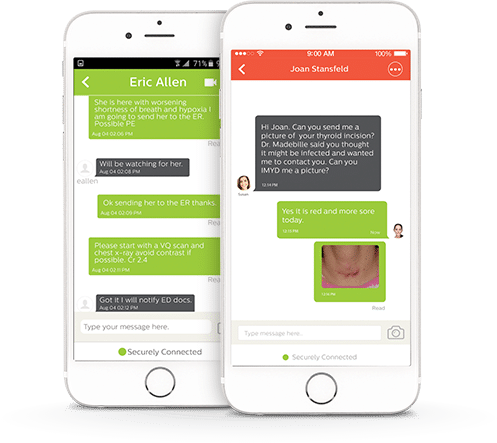 Intentionally easy to use and implement with no IT requirements, IM Your Doc offers a wide spectrum of user-friendly secure messaging features including notifications in real-time that you have a pending message. 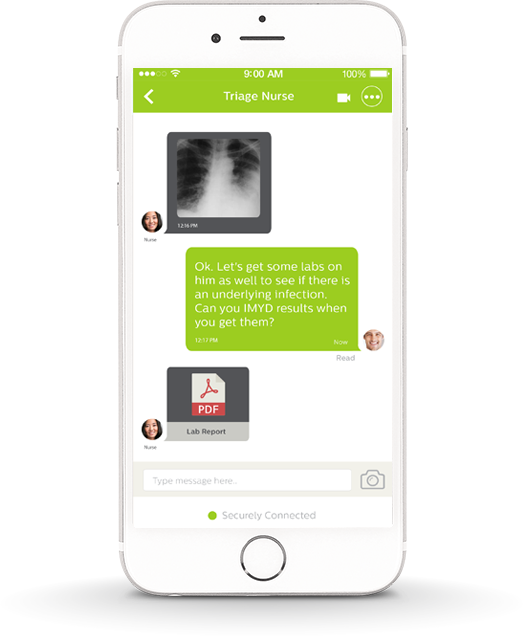 Physicians and their staff can save time and improve efficiency through HIPAA compliant instant messages sent from mobile devices or desktops. 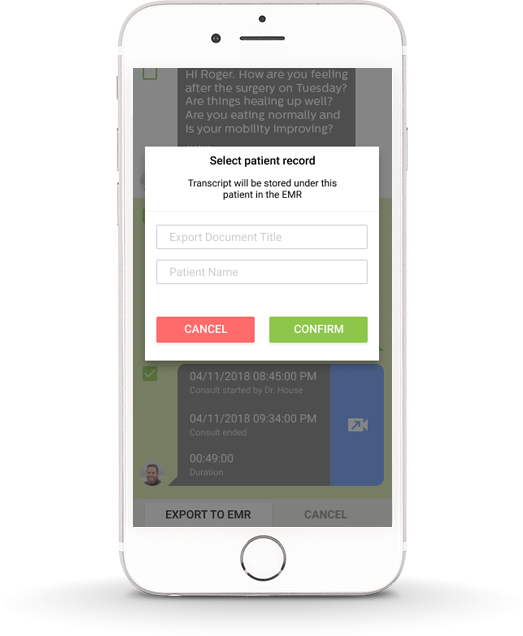 Delays in patient care can be eliminated by securely sending images, lab reports and other documents for review by mobile users on the go. Reimbursable video-faciliated visits provide an additional revenue stream, extend the practice's geographic reach and drives new patient acquisition. 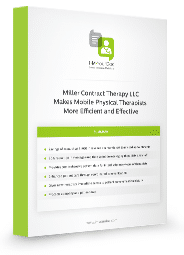 Simplified two-way communication through text improves physician response time and patient satisfaction while differentiating the practice from competitive providers. All members of the care team can be updated on a patient's care through a single text, with time stamped and dated "read" confirmation for all recipients making sure everyone is on the same page. Data sent via IM Your Doc is secure and HIPAA and HITECH compliant from point of message or image creation, during data transit and when it reaches its destination. With one simple click, move important care plan discussions to the patient's chart using FHIR and API integration. 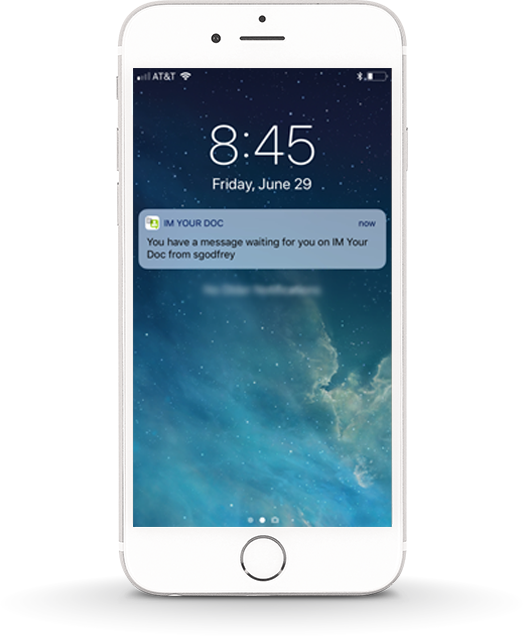 IM Your Doc allows physicians, their staff and the entire care team to exchange patient information in real-time, openly and safely, through the speed and convenience of text. 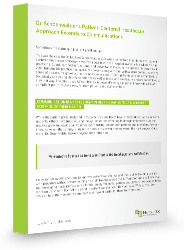 Paging systems, faxes and other modes of one-way communication are inefficient and lead to unnecessary costs and negatively impact patient outcomes. 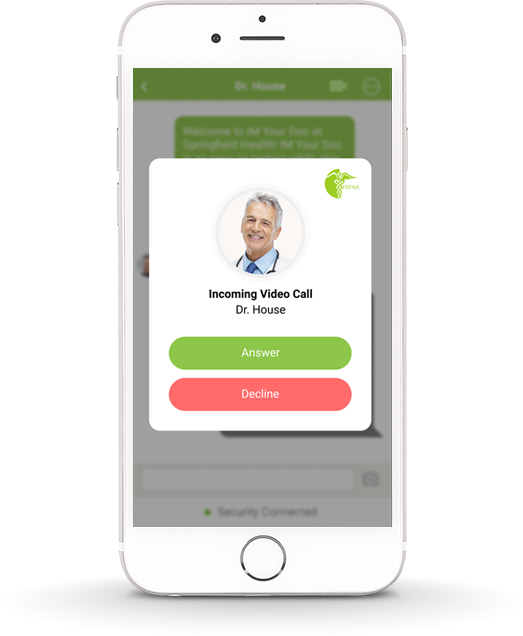 Im Your Doc’s mobile texting, voice and telemed platform gives you an edge versus competitive providers along with the capabilities to grow your top line. IM Your Doc works with the full spectrum of providers including specialty practices, radiology clinics, SNFs, home health agencies, PT groups…Whether you are a large institution or small practice, if fast, efficient, secure communication is important to you, let us show you how practices just like yours have put IM Your Doc to use. IM Your Doc is partnered with leading EMR/EHR platforms using the FHIR protocol. 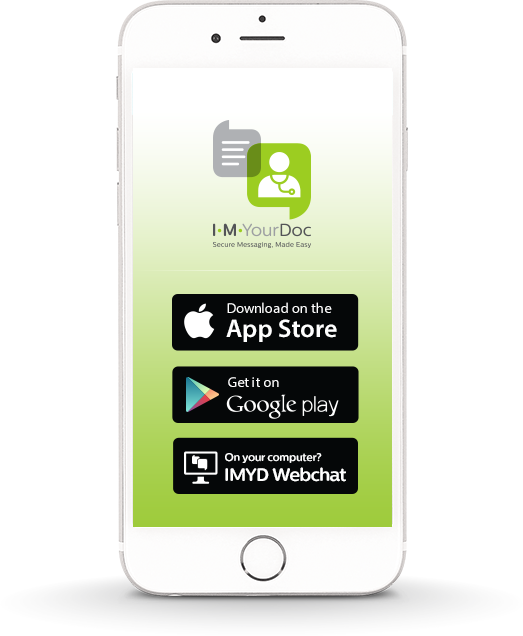 "Before we started using IM Your Doc, i had to call or page the doctors about patients. I would then have to sit and wait for a response. With IM Your Doc, I can ask the questions and get the answers much faster with less disruption making it easier on nurses, doctors and leading to better care for patients." ©2019. All Rights Reserved IM Your Doc, Inc.